August is peak holiday month, and that goes for solo travellers as well. 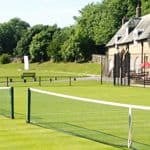 Make the most of the sun and school holidays with a break at home or a short-haul trip to Europe, or get out onto the water for a thoroughly laid-back way to enjoy the summer. 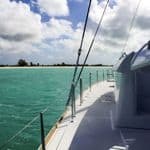 From cycling to cruising, single parents to solo adventures, here are my recommendations for great singles holidays in August. August is peak season across Europe, and if you just want to “fly and flop”, check out Solos Holidays which has trips across the Greek Islands with no extra charges for solo travellers. It also runs its own ClubSolos holidays (no couples, no kids, just simple friendly and sociable hotels) with destinations including Mallorca and Turkey. The family-run Mistral Hotel on Crete is exclusively for singles with double rooms, no supplements and a house party atmosphere. It has two pools and a wellness centre, and is three minutes’ walk to the beach. Another singles-only option is the 19-room Forever Hotel in Turkey. Mercury Holidays has a string of hotels with no single supplement – try the Algarve, including the clifftop Baia Crystal Beach, elegant Baia Grande Hotel which has a dining table for solo travellers, or the Real Bellavista Hotel with its spa. You’ll also find hotels with no supplements in Malta and Cyprus. There are options beyond Europe too – in August, Kenya is having a drier and comparatively cooler break between the rains, especially if you head to the coast. Tropical Sky has no single supplement year-round in selected rooms at the 3.5 star Turtle Bay Beach Club, an all-inclusive hotel in the Watamu Marine National Reserve, and August sees the end of the main turtle nesting season. There are plenty of alternatives to a bucket-and-spade beach holiday too. You could head to the Alps which are gorgeous in summer with opportunities for hiking and biking, as well as the option to sit back and soak up the sun and fresh mountain air. Check out Inghams’ lakes and mountains programme which has hotels for singles with no single supplement at top resorts including Chamonix and Morzine in France, and Zermatt and Lake Lucerne in Switzerland. For something more relaxed, check out this gulet cruise in Turkey exclusively for singles, from Friendship Travel. It’s the perfect way to explore this fascinating coastline with a ready-made group of friends, and there’s no single supplement. Add in some of the area’s archaeological treasures with a gulet cruise from Peter Sommer Travels such as this trip from Halicarnassus to Ephesus, cruising along Turkey’s Aegean coast before stopping to discover the rich variety of ancient sites. If food and drink are as high on the list as seeing the countryside, I’d suggest a luxury hotel barge cruise. 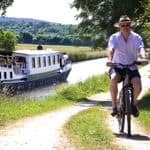 Meandering through the waterways and canals of France, including the famous Canal du Midi, this gourmet trip is popular with solo travellers thanks to the small groups and no single supplements on selected dates. And for the full cruise experience, Fred. Olsen’s more formal style of travel is a perfect match for the stately grandeur of the Norwegian fjords and Scandinavia’s islands and cities. It’s also a perfect itinerary if you’re looking to explore northern Europe in some of its best weather but avoid summer heat further south. 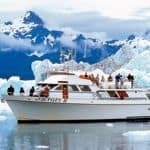 With no single supplements on selected sailings, the cruise line also provides dinner hosts and companions for shore excursions for solo travellers – check out the latest deals. Saga Travel has its own cruise ships for the over-50s with single cabins and no supplements. 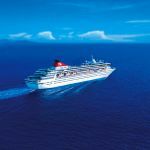 Both Saga Sapphire and the boutique style Spirit of Discovery sail in and out of the UK so there is no need to fly, and have summer sailings to the Baltic as well as a foodie escape to Spain. All prices include tips, 24-hour room service and transfers between your home and the port (up to 250 miles) or free car parking. Or for a more informal cruise style, singles-friendly Norwegian Epic, which has staterooms designed for solo travellers as well as a solos lounge, sails the western Mediterranean throughout the summer. 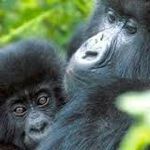 If you dream of a safari in Africa, you could meet endangered mountain gorillas in the wild on a fabulous trip to Rwanda which has unusually low single supplements. The 9-day group tour includes a day’s gorilla trekking in the Parc Nacional de Volcans, a guided walk to see chimps and colobus monkeys and a forest canopy walk in Nyungwe. It’s also the best time of year to see humpback whales and lemurs in Madagascar. And for anyone who’s ruled out a solo safari due to the cost, check out these overland tours of Africa – you could mix safari, gorillas and beach or the wildlife of the Serengeti before heading to Zanzibar. Groups are made up of between 12 and 24 passengers, with 60% travelling alone. Many people assume winter is the best time to visit Australia, but August is a great choice to discover the Northern Territory. This spectacular 10-day Untamed Kimberley escorted tour includes diamond mines, ancient rock murals, time on the beach and a cruise on the Katherine River. Find more escorted tours in Australia. There are plenty of options in Europe too; how about exploring some less well-known corners on a small group tour with Solo Travellers Group Tours. Check out its full range of singles-only group tours worldwide which include Romania and Lithuania. Or explore Russia’s great cities, with a singles-only trip from Cox & Kings. Popular with over-50s, the Majestic Russia trip visits Moscow and St Petersburg with an expert guide to introduce you to the architecture and city highlights. 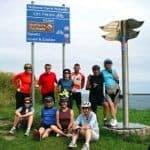 On The Go tours is very popular with solo travellers too, and their group tours include a 13-day tour travelling from Estonia to Prague, exploring the Baltic states, Poland and the mountains of Slovakia, with no compulsory single supplement. And Explore’s small group tours include several in Portugal – the one-week Highlights of Portugal whisks you between Lisbon and nearby Sintra, Portugal’s medieval capital of Coimbra and Porto and the Douro Valley – including the island of Madeira, with a walking holiday and an island tour featuring whale-watching. If you want a physical challenge, you can join a small group tour of Kyrgyzstan travelling on foot or horse, sleeping in traditional yurts, enjoying the pristine beauty of mountains and glaciers. Whatever your passion, there are some great holidays tailored to different interests – ideal for singles too as you’re guaranteed to have plenty in common with your fellow travellers. Skyros runs various personal development holidays at beautiful Atsitsa Bay in Greece, with each week featuring a range of courses including watercolour painting, windsurfing, yoga and music. Or at Skyros Island, there’s a summer creative writing course to try. In the stunning hills of Andalucia, Cortijo Romero also runs personal development holidays, which are popular with singles. See the course schedule. For a more active activity, how about joining a walking holiday in the UK? Ramblers Walking Holidays says more than half its guests travel alone and it has no single supplement on a range of trips including the Peak District and Guernsey. It also has its own B&B – Hassness Country House – which has a house party atmosphere on the shores of Buttermere. 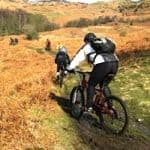 You could trade walking for cycling too – the cycling breaks from Saddle Skedaddle range from more gentle family routes to UK departures including mountain biking in Northumberland and the Scottish Highlands, plus more adventurous and energetic itineraries overseas. 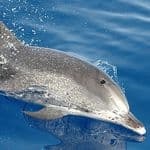 If you’d rather spot wildlife, join a whale and dolphin watching trip in the Azores or Alaska. Another option for horse lovers is a ranch holiday in the American West. 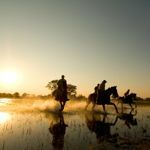 There are great deals for solo travellers, whether you’re a total beginner (try one of these resort ranches) or an experienced rider (head to a small working ranch such as Silver Spur Ranch in Idaho where you can take part in cattle drives and sleep in a swag under the stars). Or you could enjoy some Spanish sun as you brush up your postures with a yoga holiday for singles including a variety of yoga styles at Shanti Som in Spain or Epic Sana on Portugal’s Algarve with wellness workshops, as well as some pampering alongside your yoga. Kids love camping , but why not add a little luxury on a glamping break designed specially for single parents. 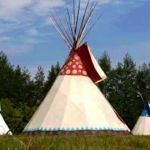 Pitch up in Herefordshire for a tipi holiday from Single with Kids, where you can enjoy some time as a family or make new friends for your kids, as well as exploring ancient woodland, cooking pizza on site and making fantastic childhood memories without a single supplement. And while you should be enjoying the UK’s best weather, for guaranteed sun, head abroad. 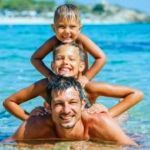 Younger families should consider Menorca with a sheltered beach just minutes away, water sports and activities for children, plus all-inclusive meals and no single supplements. In the Greek Islands, this family trip to Rhodes is great for school age kids, or there’s the beaches and walled city of Dubrovnik. Single Parents on Holiday hosts group holidays where everyone is a parent or child (some companies mix their groups with regular singles). Its most popular hotels include the all-inclusive five-star Iberostar Lanzarote Park, and the five-star Aegean Melathron Thalasso Spa Hotel in Greece’s Halkidiki peninsula. Another option is the beautiful rustic Gelindo dei Magredi on a working farm in the foothills of the Italian Dolomites. Even the UK’s erratic summer will usually promise some decent sunshine in August, so this is a great month to look closer to home as well. 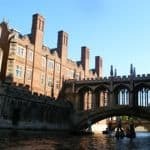 Discover some of the country’s long heritage on a guided themed tour from Martin Randall Travel such as a short trip through London following in Dickens’s footsteps. 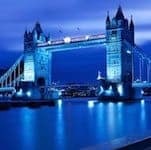 See its full range of tours for solo travellers, including several European options. 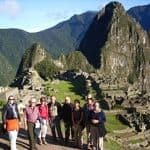 Or theme your trip around the great composers with an array of music and other cultural tours from Kirker Holidays, including their own festival in Norfolk – along with overseas trips such as Puccini in Italy. 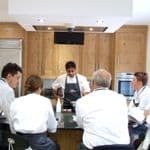 And for the over-50s, Saga Travel has a great range of escorted tours including one that’s perfect for culture lovers, following Art Across Four Counties in the UK. You could create your own great works too on a cruise around some of Scotland’s most remote island destinations, with a photography tutor on board – the Skye, Shiant and the Summer Isles cruise from St Hilda Sea Adventures makes the most of the wonderful summer light to discover beautiful scenery, picturesque towns and even puffins.